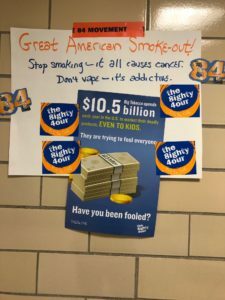 Home › General › The Great American Smoke-Out! 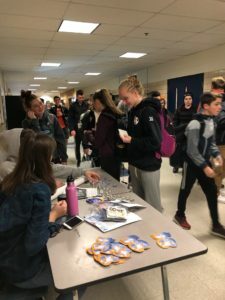 Today was the Great American Smoke-Out and students from the South Hadley High School Peer Leaders worked with Mrs. Pio, back for the day to help with the event! 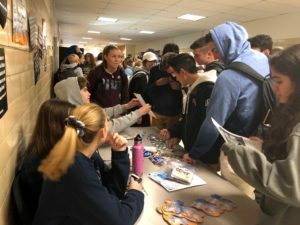 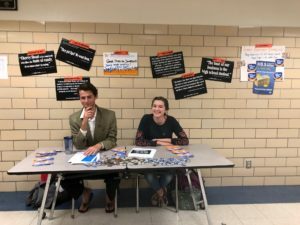 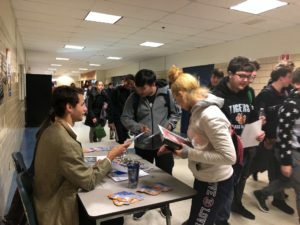 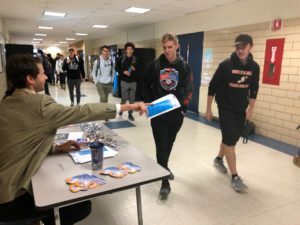 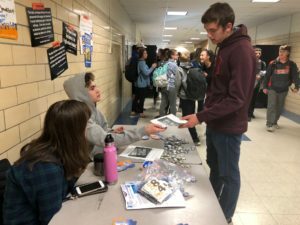 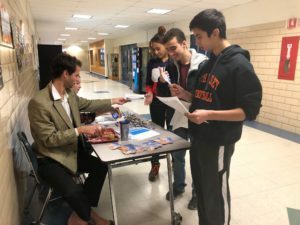 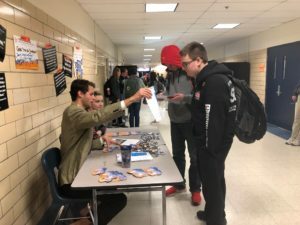 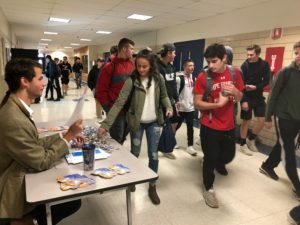 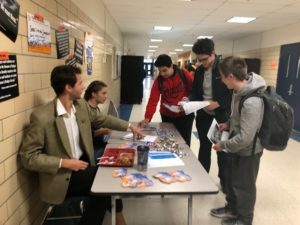 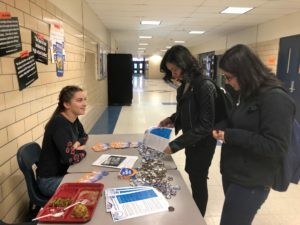 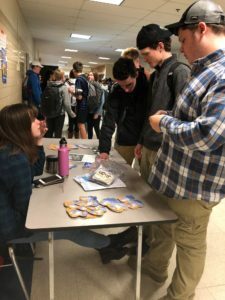 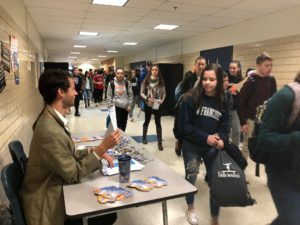 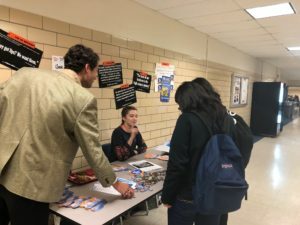 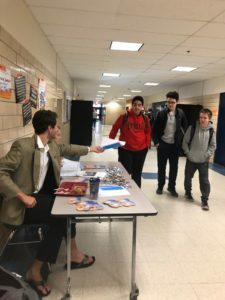 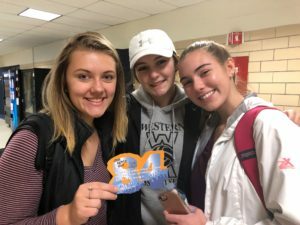 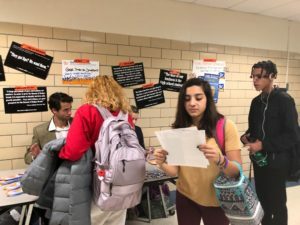 Students handed out educational flyers from The American Cancer Society, information about JUULs e-cigarettes now banning sale of the flavored nicotine “juice”, and many pins and stickers from the 84 Movement. 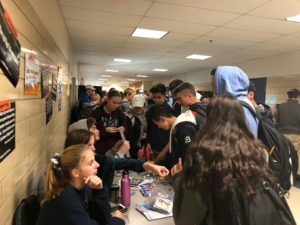 There was a real buzz generated at both lunches as students reached out to their classmates encouraging them not to smoke-not to vape- anything! 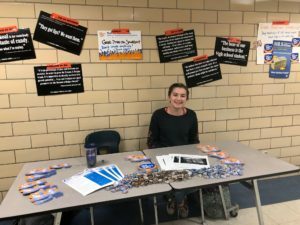 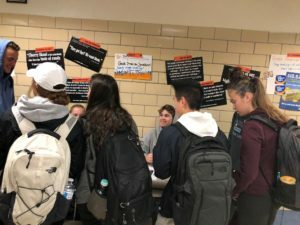 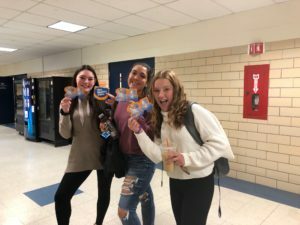 The Peer Leaders of South Hadley High School are a dedicated and active group of students who are willing to stand up against the use of damaging substances like tobacco products by teenagers. 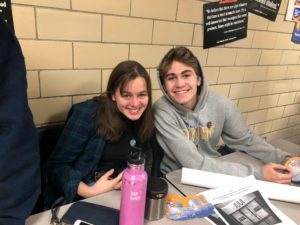 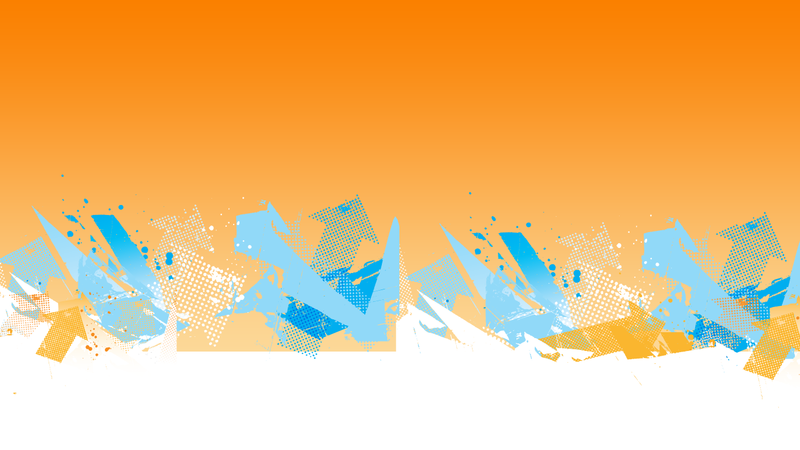 We work to model leadership skills, pro-social action and positive decision making for our peers.